Recent rumors has it that samsung galaxy S8 variants will be launched some time in April. 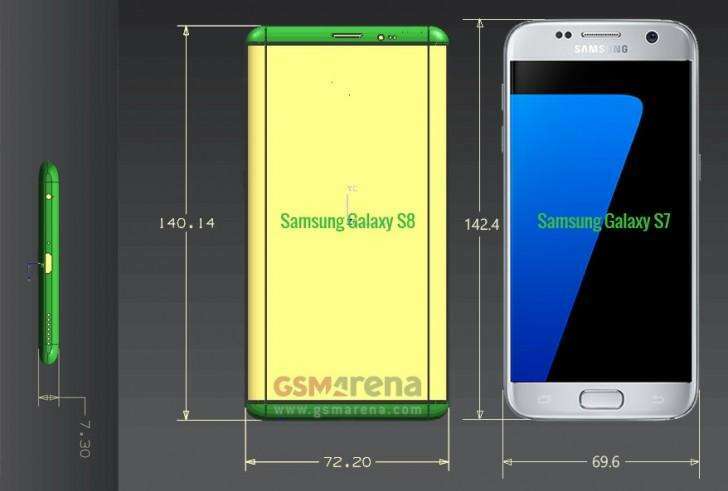 According to GSMarena, the samsung device will come in two variants. The Samsung galaxy S8 Plus and Samsung galaxy S8. The Samsung galaxy S8 plus will be of a bigger screen and body size compared to the other. It’s dimension will be 152.38 x 78.51 x7.94mm. Estimating it’s body size to be 6.3inches. Talking of the regular samsung galaxy S8, it will have a dimension of 140.14 x 72.20 x 7.30mm. 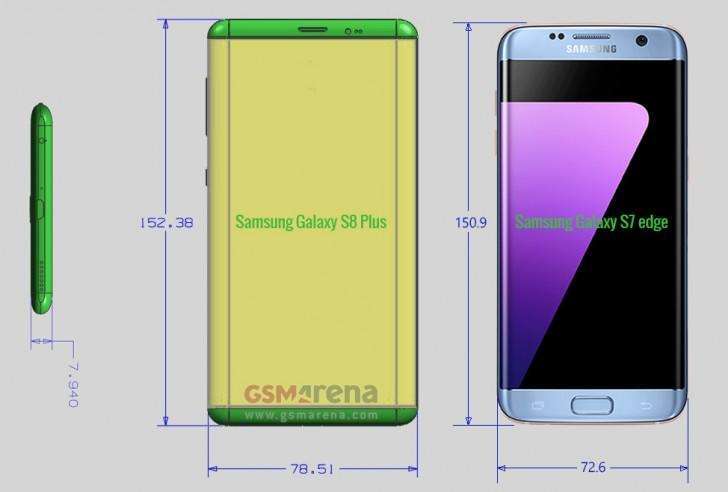 it will also be of the same body size with the samsung S7 , but due it it’s shorter tad, it will have a screen bigger than galaxy S7. Both devices (Samsung galaxy S8 Plus and Galaxy S8) will stick to the dual camera, which was nearly scrapped at the development stage.